Hello friends! 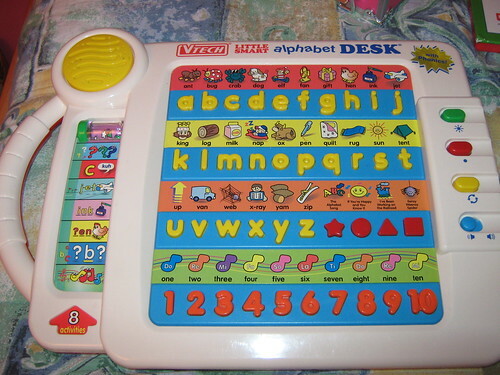 This alphabet desk with numbers belongs to my friend's daughter Makayla. I took this last week when the baby celebrated her first birthday. To view more toys with numbers, feel free to click the badge above and you too can participate if you wish. Thanks to Joy for hosting this wonderful meme. See you there! wow, my kids will love this too! good entry for toys with letters, hehehe! I can see the numbers clearly!!!!!!! Good hunting and well done!!!!! that's a colorful and bright educational toy Norms. have a blessed Sunday to you and thanks for dropping by.